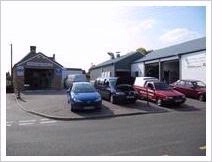 Welcome to Guilton Forge Garage in Canterbury, providing a complete vehicle repair service to the Sandwich / Wingham areas, tailored to your individual needs. Our friendly and highly experienced team is always happy to answer any questions you may have, and we focus heavily on efficiency, reliability, and competitive pricing. Customer service is paramount in our business, and we don’t consider the job completed unless you are truly satisfied. We provide expert services in the following areas including: Bodywork, repair, diagnostics, MOT’s, servicing, exhaust & tyre repairs, used car sales, courtesy cars, lift home service. Diagnostic facilities in the garage includes machines from Bosch, Launch and a D.E.C. Superscan, we have now installed two more scissor lifts in the mechanical workshop, and refit and modernised the MOT bay with a new automatic brake tester, pit and the latest automatic play detector equipment. Welcome to Guilton Forge Garage (Ash) Ltd. We are a local, independent garage, serving Ash, Canterbury and the surrounding areas.